Sorry guys, real busy lately, this is a delayed field report suppose to out yesterday. 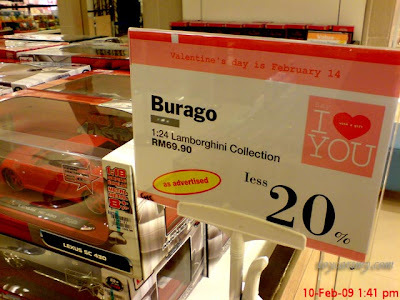 I spotted Isetan in KL area having quite a good deal for Maisto range of products at 20% discount during Valentine season. 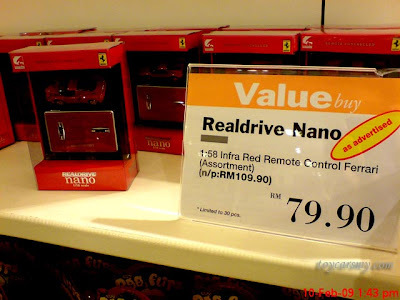 Example, the 1/24 Ferrari Assembly Line is selling at RM47.90 from RM59.90. 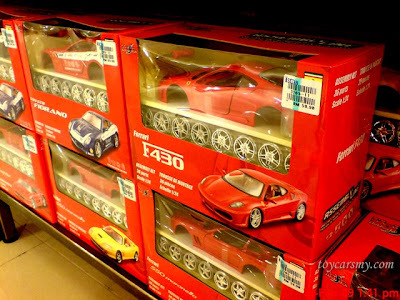 Many models like Enzo, F430 and F50 are available in both yellow and red colour. The rest of the 1:18 diecast are at flat rate of 20% discount too.